Only elephants need ivory. Join Gigi and Lily to show that you are #IvoryFree. If poaching continues at the current rate, elephants could be pushed to the brink of extinction within the next decade. Together, we can stop the illegal wildlife trade. Africa's elephants are being decimated by poaching for their ivory tusks. Up to 33,000 of these rare and majestic animals are killed each year to meet demand for products like carvings and trinkets. Together, we can stop the illegal wildlife trade. There are already signs of hope. China will close all ivory shops by the end of the year, and the US is crushing it's one ton stockpile of seized tusks on August 3. WildAid is a non-profit organization with a mission to end the illegal wildlife trade in our lifetimes. While most wildlife conservation groups focus on protecting animals from poaching, WildAid primarily works to reduce global consumption of wildlife products such as shark fin and elephant ivory by persuading consumers and providing comprehensive marine enforcement. Recent WildAid campaigns such as the #JoinTheHerd initiative have brought together millions of people to speak out about the poaching crisis affecting African elephants. 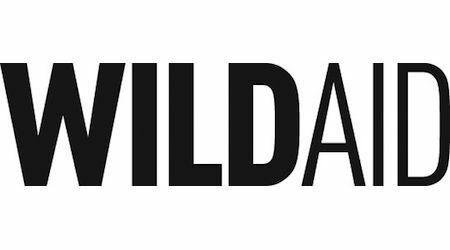 With an unrivaled portfolio of celebrity ambassadors - including Prince William and Yao Ming - and global network of media partners, WildAid leverages $289 million in annual pro bono media support with a simple message: When the Buying Stops, the Killing Can Too.